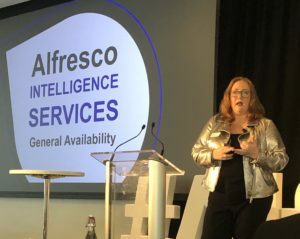 Yesterday at the analyst day, Alfresco CEO Bernadette Nixon had a fireside chat with Jim Williams of RBC about their Alfresco journey, and today at the user conference, Williams gave us more of the details of what they’re doing. 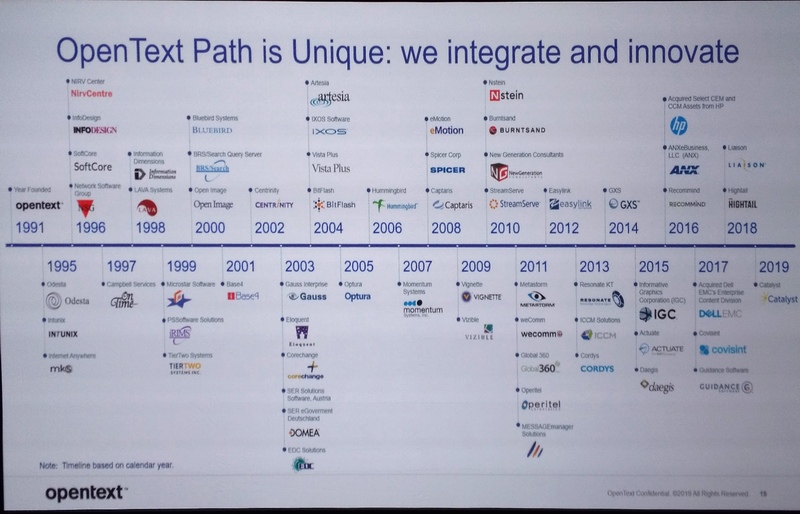 They had an aging platform (built on Pega) that wasn’t able to support their derivatives business operations adequately, having been designed for a single purpose without the ability to easily change, resulting in many manual processes. They wanted to have a single BPM and ECM platform that would span all of their business areas for handling regulatory documentation, and they started in 2015 with their equities operations: not because it was easy, low-hanging fruit, but because it was complex and essential to get it right. They now have 14 applications built on the same framework, and 3,500+ users. 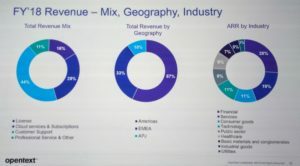 Williams said that they specifically liked Alfresco because it doesn’t try to be everything but integrates with other products and services to do functions such as reporting or OCR; this is particularly interesting in the face of other vendor platforms that want to be everything to everyone, and don’t do some of the functions very well. By 2016, they had rolled out applications in tax operations, which was essential to the changing IRS rules that required foreign banks like RBC to withhold tax on US investments unless clients could prove that they met non-resident requirements. This had to integrate with many of their other operational processes that followed. 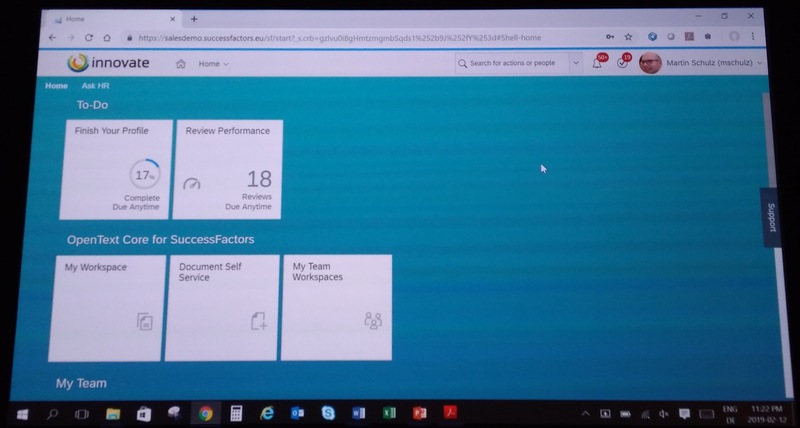 They also implemented content and process applications for HR due to some of their complex job role management in the UK, reducing dependency on spreadsheets and email for what are essentially core processes. 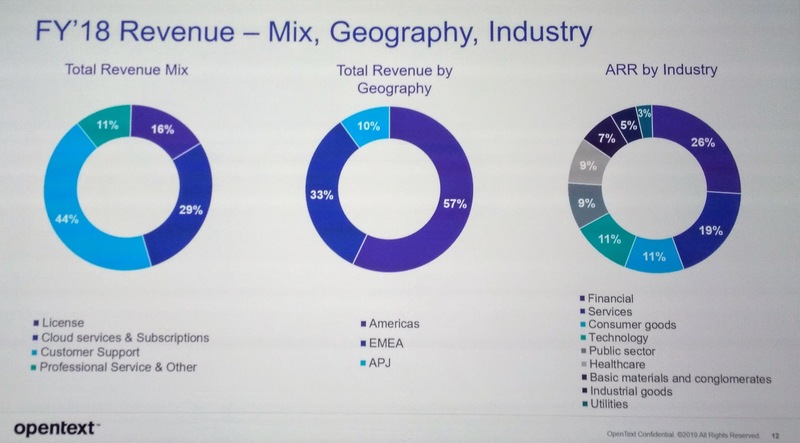 Like all of the very conservative Canadian financial institutions, their Alfresco implementation is all on premise rather than cloud, although they have cloud ambitions. It’s also important to note that although RBC is Canada’s largest bank, Capital Markets is a relatively small part of it; it will be interesting to see if Williams can carry the Alfresco message to other parts of the organization. 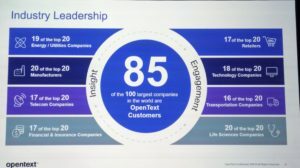 We wrapped up the 2019 Analyst Day with founder John Newton talking about Alfresco’s vision for the future. Most digital transformation efforts today are focused on external experiences, that is, how a company interacts with its customers. However, there’s more to it than that: the external experience has to interact with employee experiences and operational systems; this linkage is what Newton calls digital operations. Looking at the ubiquitous onboarding use case, digital transformation is not just about the nice app that the customer sees to upload their documents: it’s also about the straight-through processing that manages what happens after the customer does that upload, or request a service. He points out that it’s all about the process, and that content follows the process. This, obviously, is music to my ears. Customers need to think about their digital business platform, which is not the same as any vendor’s digital business platform: it’s more than that, and it may be made up of more than one vendor’s platform. It needs to handle the digital outside (customer-facing) as well as the digital inside (employee-facing), and the end-to-end processes and content repositories that link them. There are a number of disruptive technologies that are driving digital operations — cloud, microservices, edge computing, blockchain — and there will always be a new one to add to this list. Always an insightful speaker, and I’m particularly interested in how the layers above the API “surface” (such as the Alfresco Digital Framework and Digital Workspace built on the ADF) are adopted in practice versus direct API usage. That’s it for the analyst day; I’ll be back tomorrow for the regular user conference. Darren Yetzer, Alfresco’s VP Channel, took us through their partner strategy, and hosted conversations with Bibhakar Pandey of Cognizant and Matt Yanchyshyn of AWS. In the breakout discussions that we had earlier in the afternoon, there were various discussions on the strategy focus on vertical use cases, and how partners will need to fill some big part of that need since Alfresco isn’t in the vertical application business. Obviously, Alfresco needs to have more than just a logo salad of partners: they need partners that can work with customer to develop vertical solutions, make sales and extend functionality. 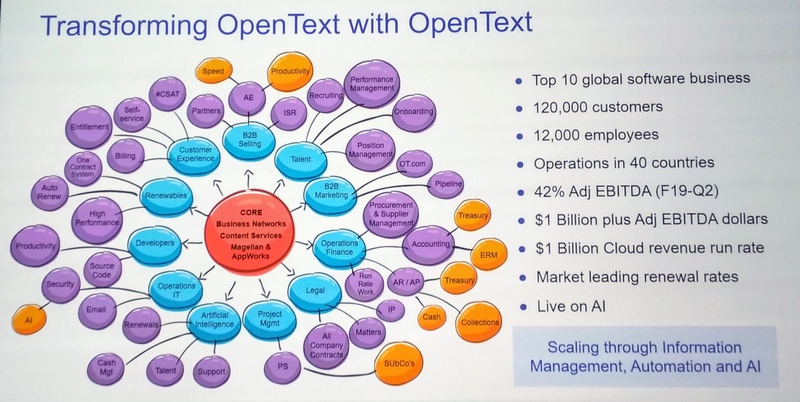 Pandey sees Alfresco’s platform as a way for them quickly create domain-specific content-centric solutions for their clients that include integration with other platforms and systems. They don’t want to have to build that base level of capabilities before starting with their solution development, so see a platform like Alfresco being table stakes for working effectively as an SI. 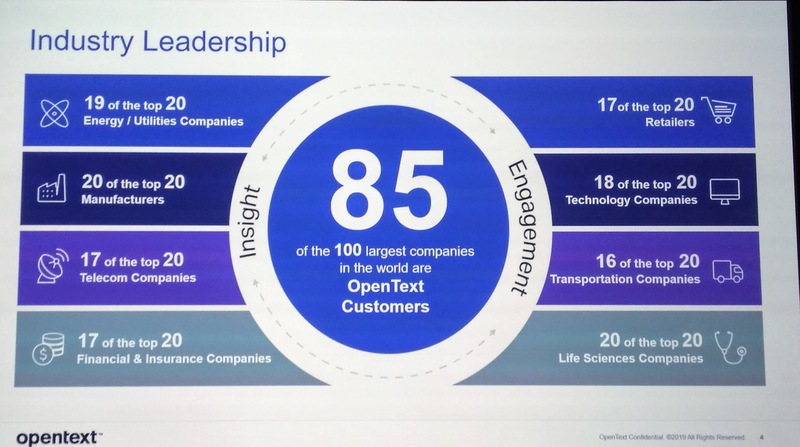 Cognizant works with a broad scope of customer organizations, but Pandey highlighted insurance as one vertical that is ripe for the content capabilities offered via Alfresco’s platform. 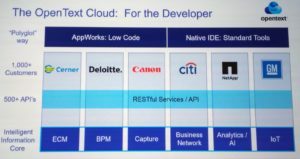 He focused on the cloud-native capabilities of Alfresco as essential, as well as the microservices architecture that allows specific functions to be deployed and scaled independently. 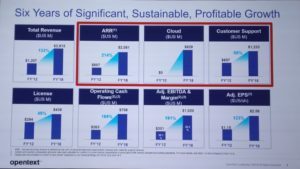 The Amazon AWS partnership is much different and even more significant from a platform functionality point of view: we saw this beginning at last year’s Alfresco Day with the significant announcements about native AWS containerization, and continuing now with the integration of their AI/ML services. Yanchyshyn discussed how Amazon is now developing domain-specific intelligence services, such as Comprehend Medical, and how organizations will start to take advantage of this higher-level starting point for mapping their business use cases onto Amazon’s AI/ML services. 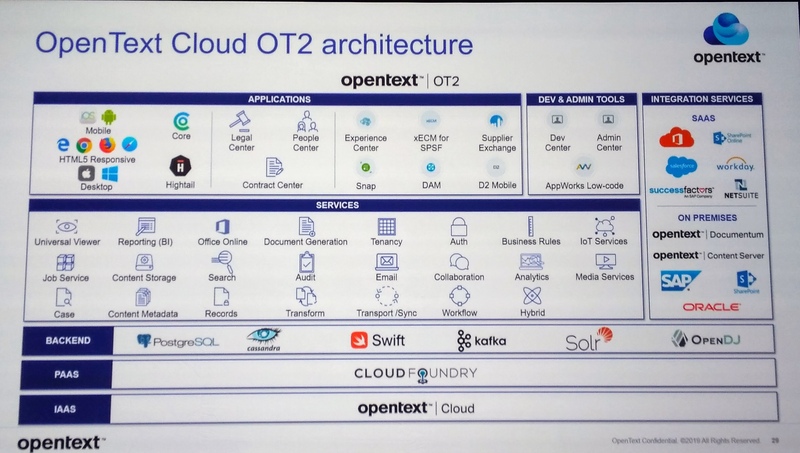 He sees Alfresco as being an early adopter of these services, and uses them as an example of what can be done to integrate that into larger platforms. Jim Williams, Head of Operations and Shared Services Technology for RBC Capital Markets had an on-stage fireside chat with Bernadette Nixon about what they’ve been doing with Alfresco over the past five years. The focus of their implementation is back office operations, including trade confirmations, settlement and other transactions, especially with all of the regulatory implications and changes. 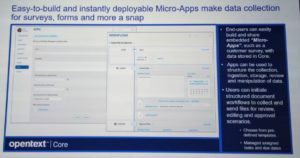 They started looking at this in 2015 for a specific use case (equity trade confirmations) when they had no cohesive platform and many manual processes, and now have several different applications on Alfresco technology. Their transactions tend to be more complex, not just simple financial transactions, so have specific concerns with integrating multiple sources of information, and multiple business rules regarding regulations and compliance. They were an early customer for the Application Development Framework (ADF), and it has allowed them to build apps more quickly due to shared components such as single signon. 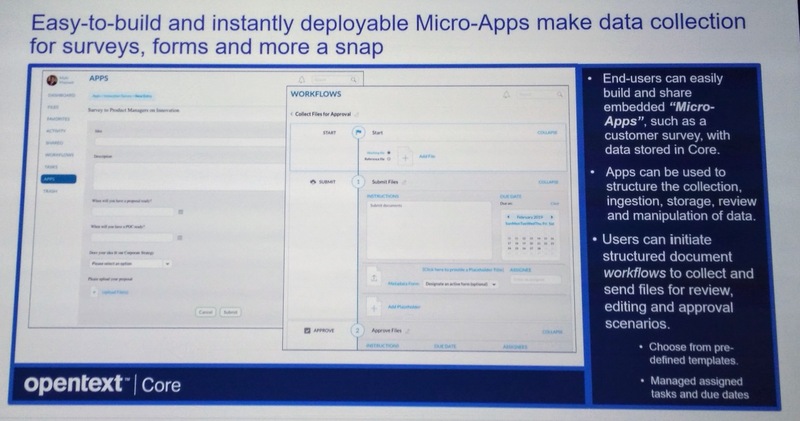 They’re now replacing some of their 10-year-old legacy processes that were initially on Pega, providing more agility in the deployed processes. 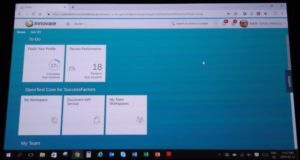 He shared some great feedback from the actual users of the applications on their experience and the benefits that they’re seeing, which included the usual operational hot buttons of simplification, cost reduction, productivity increase, reduced risk and scalability, plus innovation and transformation. He joked that they’ve reduced their organizational dependency on Excel, but that’s a very real measure: when I work with enterprise customers on improving processes, I always look for the “spreadsheet and email” processes that we need to replace. 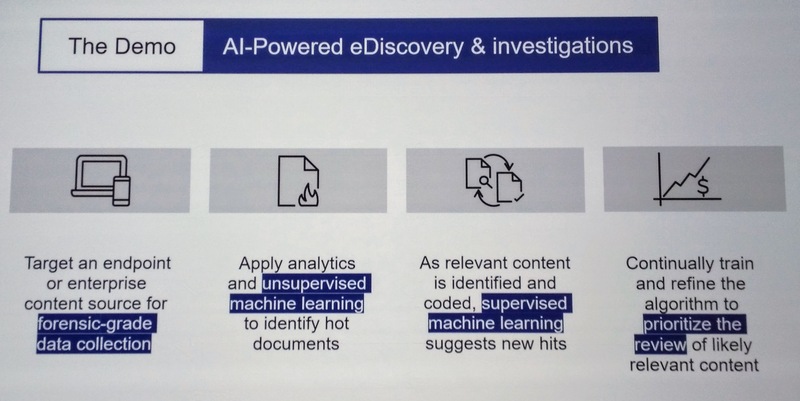 They explored RPA technology but came to the inevitable conclusion that it was just a stopgap: it can make a bad process work a bit faster or better, but it doesn’t fundamentally make it a good process. This was an interesting comment following on a side conversation that I had with Nixon at the break about how Lean Six Sigma initiatives — still all the rage in many financial organizations — are more about incremental improvement than transformation. Bernadette Nixon, who assumed the role of CEO after Alfresco’s acquisition last year, opened the analyst day with the company strategy. They seem to be taking a shot at several of their competitors by pushing the idea that they’re one platform, built from the ground up as a single integrated platform rather than being a “Frankenplatform” pieced together from acquisitions. Arguably, Activiti grew up inside Alfresco as quite a separate project from the content side and I’m not sure it’s really as integrated as the other bits, but Alfresco sometimes forgets that content isn’t everything. Nixon walked through what’s happened in the past year, starting with some of their customer success stories — wins against mainstream competitors, fast implementations and happy customers — and how they’ve added 126 new customer logos in the past year while maintaining a high customer renewal rate. 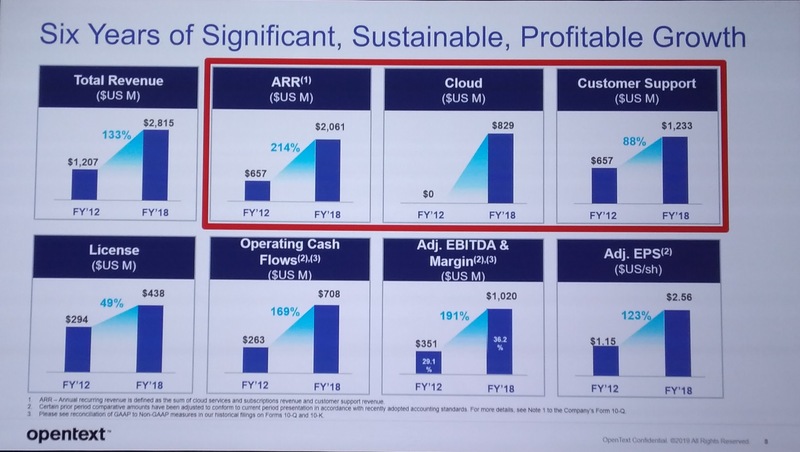 They’ve maintained a good growth rate, and moved to profitability in order to invest back into the company for customer success, developing their teams, brand refresh, engineering and more. They’ve added many of the big SIs as new partners and are obviously working with the partner channel for success, since they’ve doubled their partner win rate. They’ve added five new products, including their Application Development Framework which is the core for some of the other products as well as the cornerstone of partner and customer success for fast implementation. They commissioned a study that showed that most organizations want to be deployed in the cloud, have better control over their processes, and be able to create applications faster (wait…they paid for that advice? ); more interestingly, they found that 35% of enterprises want to switch out their BPM and ECM platforms in the next few years, providing a huge opportunity for Alfresco and other disruptive vendors. Alfresco is addressing the basic strategy of a horizontal platform approach versus a use case vertical approach: are they a platform vendor or an application vendor? Their product strategy is betting on their Alfresco Digital Business Platform targeted at the technical buyer, but also developing a go-to-market approach that highlights use cases primarily in government and insurance for the business/operational buyer. They don’t have off-the-shelf apps — that’s for their partners or their customers to develop — but will continue to present use cases that resonate with their target market of financial services, insurance, government and manufacturing. A good start to the day — I’ll be here all day at the analyst conference, then staying on tomorrow for the user conference. One of the advantages of being in the software industry for a long time is that I can watch trends come and go. Some of them many times. Take the buy versus build argument: is it better for an organization to build a system (for its own use) using best-of-breed components, or buy a best-in-class monolithic system from a single vendor? As with all things software, the answer is “it depends”: it depends on how well the company’s needs are accommodated by a single-vendor solution, and how much the company’s needs are expected to change on an ongoing basis. 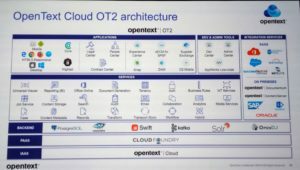 Almost every end-customer organization that I talk to now, either in my consulting practice or through industry contacts, is deploying an in-house digital automation platform that allows them to quickly assemble capabilities into new business applications. 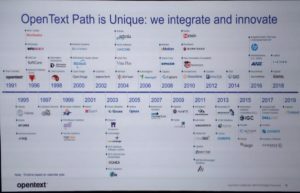 Since business applications tend to be process- and case-centric, organizations have often ended up with a BPMS (or what Gartner might call an iBPMS) as a single-vendor solution for the core of their digital automation platform, although ERP and CRM platforms such as SAP and Salesforce are also making a play in this space. BPMS — once (more or less) single-purpose systems for modeling and managing processes — have, Borg-like, assimilated so many other technologies and capabilities that they have become the monolith. If you sign up for their process management capabilities, you may also get decision management, analytics, event handling, user experience, social media and many other capabilities in the same box. 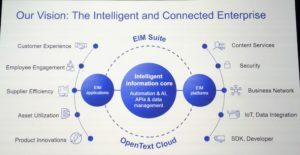 This is what allows BPMS vendors to market their products as complete digital automation platforms, requiring only a bit of wiring to connect up with line-of-business systems and data. If there’s one constant in how organizations work, it’s that they will outgrow their systems as their business environment (constantly) changes. And that’s exactly the problem with any monolithic system: there will certain capabilities that no longer meet your changing needs, or a disruptive new vendor or product that could replace specific capabilities with something transformative. Without the ability to decouple the components of the monolith, you may be stuck using the unwanted capabilities; at the very least, you’ll still be paying maintenance and upgrades for the entire suite rather than just the parts that you’re using. The result of all this is that I’m seeing organizations starting to build their digital automation platforms with much more granular components, and BPMS vendors offering their products in a granularity to match that. It’s this pattern that I’ll be talking about in my bpmNEXT keynote in Santa Barbara on April 16, “Best of Breed: Rolling Your Own Digital Automation Platform using BPMS and Microservices”. Hope to see you there.